Messages to install AMD driver on W10. About once a month, on my Windows 10, I get a message to install an AMD driver. I haven't installed it, as I have not found any AMD devices on my HP Laptop 17-x116dx. As this message doesn't provide what device the driver is for, or does it identify the driver name I hesitate to install it. Unless someone can advise that there is an AMD device on this laptop, that it is for, can someone advise how to stop these messages from periodically occuring?? Looking at the notebook model you posted, it seems you have a AMD discrete graphics card. This means you have switchable graphics. Look in Device Manager / display graphics. You should see two...Intel and AMD. There is also a bios and chipset update that you want to install..check the link below. links on the Bios and Chipset updates. If it did not show a Intel and a AMD graphics...then I don't know what to think. Are you sure this is the correct model number of your laptop? If it were me, I would go ahead and download the drivers for AMD. If the graphics do not exist..nothing will be installed. Did you make any changes in the bios? The display/graphics should be set to 'switchable' or 'dynamic'. it is on the back) is 17-x116dx. the proper mfg version, that I need to get it from HP. What a pain. Download and install a small free program called SPECCY. It will show all the hardware and software on your Laptop. 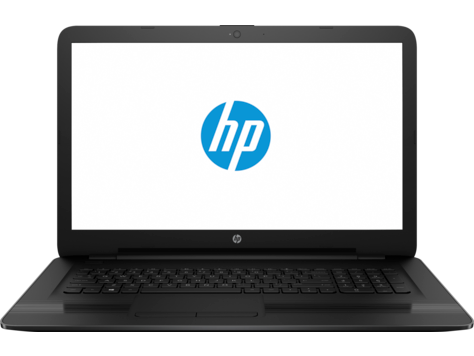 According to your Laptop Model the specs doesn't show any AMD hardware : HP Notebook - 17-x116dx Product Specifications | HP® Customer Support but the exact Product number for this laptop is 1BQ14UA. Unless there is another Product number for that particular model that has AMD hardware. Also download Malwarebyte (Free version) and install it and run it. In case the AMD pop-up is caused by a virus. Also run under Command Prompt (Administration Rights): SFC /scannow to be sure your Windows 10 Installation is not corrupted or missing any files. That's what i thought ...then I looked further and found https://support.hp.com/us-en/drivers/selfservice/hp-17-x100-notebook-pc/12499468/model/15789088 and assumed this must be it as it has AMD graphics. But there should be a entry in the Device Manager. I know, I went to that link also and saw the same information. So, unless the OPS gave the wrong Laptop model or it is possible the laptop may be infected with a virus. If he should download and install SPECCY it should clear things up. If SPECCY doesn't show any AMD Hardware than he should download Malwarebytes and run it to see if there is any malware in his laptop. Also running SFC won't hurt anything. I wonder if he runs DDU and puts "AMD" if it will remove any traces of AMD software/Driver and registry entries from his laptop unless of course he has AMD Hardware installed. I am just as confused as you are. Can you look on the back of the laptop...there will be a sticker with model and version numbers? Next time you get the update prompt, take note of the KB.........., web search it to see what it is. There was a amd64 (don't recall the exact wording) update some months ago that had non amd users confused because of the update description.